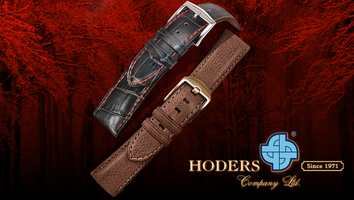 Since 1971, HODERS has been engaging in manufacturing of leather watch strap for more than 48 years. With years of experience, we are expert in developing customer’s design and creating ingenious design. We have high reputations in product innovation, refined workmanship & superb quality. Being an ISO9001 accredited company, we are seeking continuous improvements everyday. We are confident that we can fulfill the most stringent requirements. We would be your responsible partner you can rely on! Excellent quality with different kinds of Square Croco and Lizard embossed genuine leather watch strap. Manufactured using superior hand selected materials, generously padded and strong thread stitching. Made from a high quality Italy oil tanned leather. These leather have a pull up effect. Stylish design with punched holes and hand stitches at the top edge. Trendy and Colourful collection with good hand feel quality leather. Fully leather lined. Matt low sheen finish with soft padding. 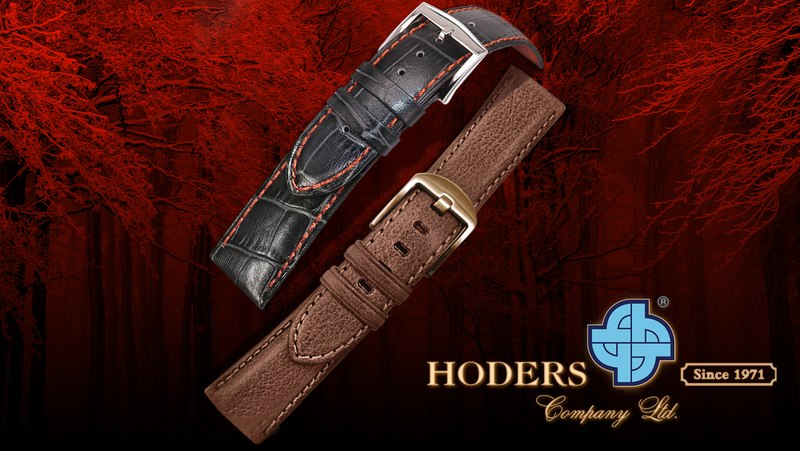 NATO styles watch strap - crackle style, natural grain leather, denim and nylon. These Nato straps will develop beautiful patina over time, all the while keeping its shape day after day, exceptional craftsmanship. Leisure collection is a life stylish. The combination of colours, canvas and natural leather are stood out a casual and easy wear style. Rubber fancy straps, the idea is came from 3D geometry and sport fashion combination. 3D triangle pattern with colourful rubber touch material can be easy to match with your chic collection.